These discounted prices will only be good from Black Friday until Cyber Monday 2016. This bundles contains the Amazon bestselling book and workbook. My personal branding book giving you the top 20 branding lessons to ensure success. After each chapter, there is a corresponding exercise allowing me instantly implement all of my personal branding advice. My workbook has 40 separate personal branding exercises. That’s a combined total 60 exercises all for the price of $15! Project management is the hottest trend and the latest industry buzz word but how many people actually know what it is? As a licensed Project Management Professional (PMP) and Certified Scrum Master (CSM) who teaches you the top 40 words using in the industry. All terms come from the Project Management Body of Knowledge, the same industry standard which all PMPs. In addition, to the video, there are slides and bonus documents. There is no fluff! 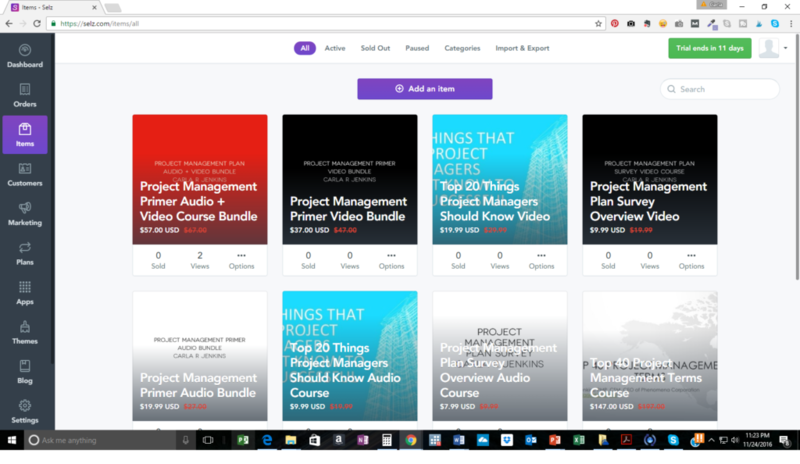 If you are new to project management, the project management primer audio and video products will help you. Here I provide an overview of the project management plan and the 20 things all success project managers must know. These products will save you time, money and frustration enabling you to have a successful and productive career.